Regency Developments’ pitch to redevelop Holyrood Gardens was endorsed by city council on June 9, 2018. 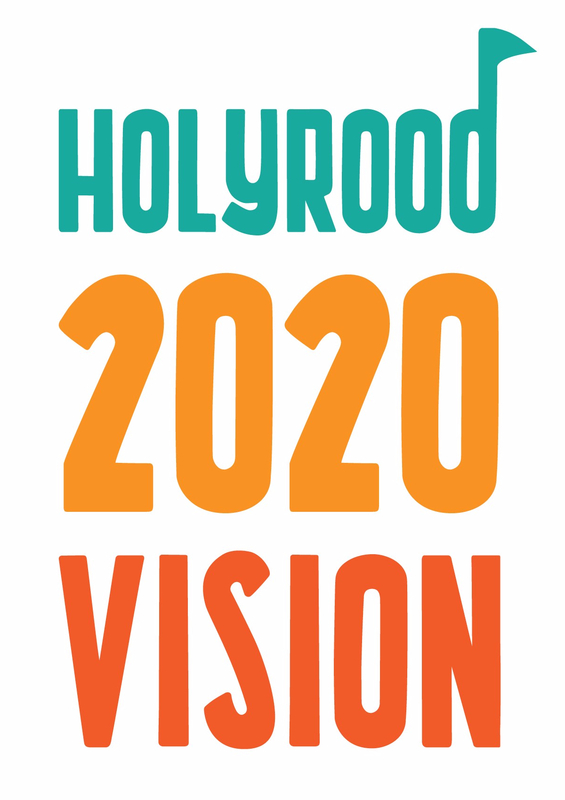 While the Holyrood Development Committee felt additional changes to the project would be beneficial, valuable changes were made to the proposal. We extend our thanks to residents from the communities of Holyrood and Strathearn for engaging in the public consultation over the last 15 months. Council endorses 25-storey tower, new vision for Holyrood Gardens. Edmonton Journal, July 9, 2018. Holyrood Gardens housing redevelopment gets Edmonton council approval. CBC News, July 9, 2018. The HDC believes that changes are still required the Holyrood Gardens proposal prior to it being approved. Members of the Holyrood Development Committee have drafted on list of potential amendments based on outstanding concerns. Members of HDC have been meeting with Councillors to present these potential amendments for the proposed bylaw. We beleive that these amendments will help to alleviate some of the concerns the community continues to have and will help to close the gap, and bring us to the point of a proposal that the community will be able to live with. The HDC will be presenting our potential amendments at the Public Hearing today; July 9th, 2018. The hearing is scheduled to start at 2:00 p.m. The HDC will be making presentations on Transportation Safety, Family Oriented Housing, Dwelling Unit Distribution on the Site, Good Neighbor Agreement, Sunset Clause and The Edmonton Design Committee. The committee would like to ask that community members come out and attend today’s hearing to support us. We look forward to presenting our solutions to Council and we hope to see you there! The week following the May 2nd Public Open House, Regency Developments chose to revise and submit a new version of the Holyrood Gardens proposal. The Holyrood Development Committee asked that Regency take this new proposal to the Edmonton Design Committee (EDC) for review, and share the proposal with the community. The revised proposal was reviewed by the EDC on June 5th, 2018. Upon review, the EDC provided another recommendation of non-support. The EDC acknowledged and appreciated that the project had evolved since May, but felt that attempts were being made to buffer the existing neighborhood from the development, rather than integrate the development with the surrounding communities. The Edmonton Design Committee felt that significant refinement and/or redesign of the project was still needed. Upon reviewing the final DC2, the Holyrood Development Committee believed that there had been improvements to the proposal; including a contribution of 10% affordable housing units rather than the policy mandated 5%. Recognition of these improvements aside, the committee felt that further refinement was still needed to solidify certain changes. The HDC also beleived that we needed to refer back to the expertise of the Edmonton Design Committee. The HDC submitted comments to City Planning for their report in regards to the EDC’s recommendations, site design, family oriented housing, development phasing/sunset clauses and transportation safety. The HDC took a formal position of non-support on the application. The HDC continues to remain open to working with Regency Developments. We have asked that City Planning ask the developer to postpone taking the proposal to the Public Hearing on July 9th, so that further revisions can be made, based on the comments provided by the EDC and the HDC. There will be a city held Public Information Session on June 27th, from 5:30-8:30p.m. in the Holyrood School Gymnasium. Information on the most recent version of the proposal will be available to update anyone wishing to write to Council or speak at the Public Hearing on July 9th, 2018. Details are also now available online. Prior to the Public Hearing on July 9th, 2018 the HDC will be attempting to meet with City Councilors to discuss the proposal and possible amendments that would help to alleviate some of the concerns the community continues to have. Urbis Developments and their consultants from Pario Plan proactively met with members of the HDC and representatives from St. Luke’s Church to discuss intentions of developing the site at 8302-95 Avenue. They have provided the following information package for the community. Urbis Developments met with city planning to discuss the proposal and have recently submitted the application. Once the application has been accepted, the DC2 will become available on the City of Edmonton’s website. The Holyrood Gardens redevelopment proposal was reviewed by the Edmonton Design Committee (EDC) on May 1, 2018. The EDC provided a letter of non-support and pointed to a number of general concerns including: errors in the numerical calculations within the review package, and discrepancies between some of the DC2 text and the graphics. The HDC indicated the revised proposal appeared to be aimed at providing density rather than creating a sense of place or addressing the character of Holyrood. They also felt the revised proposal was a literal interpretation of the City of Edmonton’s guidelines (e.g. angular plane guideline) without exploring a more creative and integrated built form that fit with the existing neighborhood. To review all of EDC’s comments, please visit the minutes of the May 1, 2018 meeting on the City of Edmonton’s website. Regency Developments presented their revised proposal to the community at a public open house on May 2, 2018. The HDC designed, printed and delivered flyers to homes in Holyrood and Strathearn encouraging community members to attend the open house and provide their feedback. HDC attended the open house and had many conversations with the community. The week following the Holyrood Gardens open house, Regency Developments chose to revise and submit a different version of the proposal for review by the City Planning department. This revised proposal is tentatively scheduled to be presented to City Council at a Public Hearing on July 9, 2018. HDC will continue to keep the lines of communication open with Regency Developments. We hope to have discussions with City Planning and Regency surrounding this newly revised version of the proposal. HDC would like to see any revised proposal be reviewed by the EDC and presented to community for their feedback. The rezoning application for 9412, 9418, 9424 and 9430 83 Street went to Public Hearing on Monday, May 7. Bylaw 18389 was unanimously approved by council. No one signed up to speak in opposition of the redevelopment. HDC would like to thank the developer; Stuart Reid of Infinity Capital Developments, who worked together with HDC to understand issues and resolve concerns. Infinity has also entered into a “Good Neighbour Agreement” with the Holyrood Community League. A Good Neighbour Agreements sets out the expectations the developer agrees to comply with during construction, including adherence to City bylaws. These agreements identify community concerns, establish how issues will be dealt with, and who should be contacted if there are issues. The agreement also states that the developer will communicate timelines, major milestones and in the future, sit down with HDC to have discussions surrounding landscaping and ways to integrate new residents into the community. Prior to a pre-application notice being sent to neighboring property owners, HDC and representatives from St. Luke’s Church sat down to discuss a rezoning application for 8302 95 Avenue with Urbis Developments and their consultants, Pario Plan. Urbis Developments, a local company owned and operated by Edmonton architect Rick Ardnt, distributed a thorough and informative notification letter with their intentions to rezone the land from RA3 to DC2 (Site Specific Direct Control). The DC2 will be based off of the RA7 zone with some minor changes. The proposal will take into account the city’s Transit Oriented Guidelines and the Medium Scale Residential Infill Overlay. The proposed redevelopment would be a 4-story building with townhomes that face 95 Avenue on the lower level. It would encompasses 12 units and provide above ground parking. Urbis and Pario Plan are requesting feedback from HDC and have provided us an information package with the details of the proposal. More information and further details about this redevelopment will be available soon. An application has been submitted to rezone the Bonnie Doon Centre shopping mall site, and the nearby property at 8715 85 Street and 8420 85 Street. The proposed upzoning would allow for a high-density, mixed-use, transit-oriented development. This would consist of up to 6,000 residential units along with up to 93,000 m2 of retail, office, and commercial space. The proposed development would create a number of districts on the site, including a commercial district, a garden district, a health and wellness district, a retail and entertainment district along with a pedestrian focused boutique district including a unique central park in the heart of the site. Parking for the development will be primarily underground, and new streets throughout the site would provide bicycle lanes and pedestrian priority to the Bonnie Doon LRT stop. Note: The Holyrood Development Committee is a subcommittee of the Holyrood Community League. We ask that community members wishing to continue to support the Holyrood Development Committee purchase a 2018/2019 Holyrood Community League membership. Your membership supports the league and provides you with access to community programs and events! Memberships can be purchased at: SEESA (9350-82 St); efcl.org/membership; Servus Credit Union locations and at most Holyrood Community League events. Here’s the news roundup covering the Holyrood Gardens Information Session on May 2, 2018. The Holyrood Development Committee delivered a flyer to virtually every residence in Holyrood. Thank you to the hundreds of people who came out to share their thoughts. Do you have things you would like the Holyrood Development Committee to know before this goes to City Council? It’s not too late to add your voice. Share below in the comments section below. Visit City of Edmonton’s website to see new development applications. Follow the HDC blog posts by email. Holyrood Development Committee Powered by WordPress.com.